It’s time you treated yourself to a little TLC… What better place to do just that, than Los Cabos? 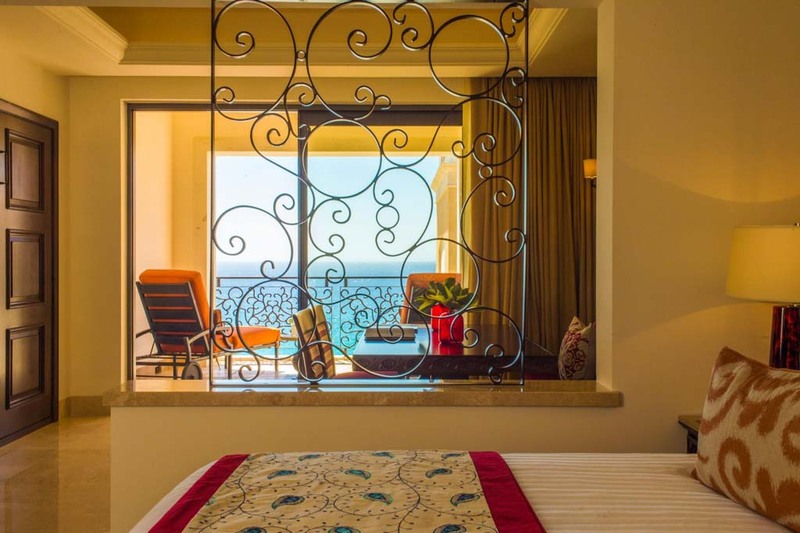 Rated as one of the top 25 luxury resorts in Mexico; you’ll be enveloped in luxury from the moment you enter Grand Solmar Resort. Overlooking the rugged Pacific Ocean, you can enjoy dinner only yards away from the crashing waves, or poolside cocktails at one of the resort’s infinity edge pools. Relax and revitalize your body, and recharge your spirit at one of Cabo’s finest spas, with a variety of pampering spa treatments, as you enjoy hypnotic ocean vistas. Have all your knots and kinks massaged away; or release some tension on one of the world’s highest rated golf courses. Unwind after an exhilarating day on an incredible sunset cruise offering an assortment of delicious foods and even better entertainment. Grand Solmar is perfect for travellers of all ages looking to escape and relax. Situated behind a mountain separating the resort from Cabo San Lucas, makes it feel a world away from the noise and bustle of the city. However, it’s also close enough to enjoy Cabo’s El Centro and all the fun and nightlife to be found there. Grand Solmar is designed to satisfy both adults and children, with the resort’s adult pool and kids’ club. Grand Solmar Resort room rates include accommodations only (European Plan), but you may select an optional meal plan, should you choose to stay on premises for your meals. Grand Solmar is the regular recipient of numerous International awards for excellence in fine dining experiences. Whether you dine in one of their six award winning restaurants, or luxuriate in your suite with room service, you are certain to remember the flavours and presentation of your meals in this outstanding resort. Guests of Grand Solmar leave satiated, renewed, and full of delightful memories of their Cabo vacation. The FANCY Style is all about quality and exceeding guest expectations. From the resort culture and architecture, to food design, drinks and service, you receive the best of everything… Amazing moments, music, meals and other memorable experiences. Guests have access to a gorgeous white sandy beach with amazing sunsets over the Pacific horizon, but must know it is not a swimmable beach. This is an important notice for everyone’s safety, as the currents and undertow are unpredictable, and strong. 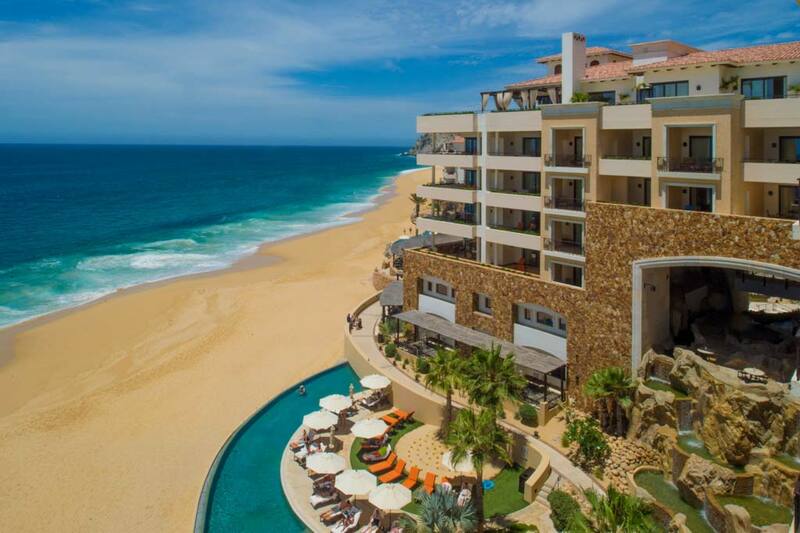 This factor should not detract from your enjoyment, as Grand Solmar provides an assortment of fabulous infinity-edge pools overlooking the Pacific, and plenty of other water activities. These superbly appointed suites afford unmatched ocean views in an ultra-luxurious setting. With one king bed and a queen Murphy bed, up to three guests can enjoy all the comfort these 737 square foot units offer. The perfect combination of space and privacy. There´s no better way to describe these elegant suites overlooking the Pacific Ocean. Each unit features a fully equipped kitchen with marble wet bar, living room, dining room, two bathrooms with marble counters and floors, walk-in closet, and private terrace. The Master Suite easily accommodates four adults. These impossibly elegant suites allow guests to enjoy views of the Pacific Ocean from every room. Features include two spacious bedroom, fully equipped kitchen with marble wet bar, studio, living room, dining room, three bathrooms with marble counters and floors, walk-in closet and large, private terrace. Six adults fit comfortably into a Presidential Suite. Elegant, spacious living area accented by panoramic views of the Pacific Ocean. Three luxurious bedrooms, fully equipped kitchen with marble wet bar, studio, living room, dining room, four bathrooms with marble counters and floors, main bathroom with Jacuzzi tub, walk-in closet, and spacious, private terrace. Space for 10 adults. Facing the Pacific Ocean at the southern-most tip of Mexico’s Baja California Sur, separated from the town of Cabo San Lucas by a mountain, this resort gives the impression that you are miles away from civilization, instead of just a quick cab ride into town. Great for those who want to be close to the action and nightlife, but really want some separation from it as well. Las Olas & Las Brisas Pool Bars – Stay hydrated when you’re in the water! Guests may be pampered from head to toe, with seawater baths and seaweed based treatments; tailored to their exact needs at Spa by Solmar, as well as Sea Spa Cabanas on the beach, or in the privacy of your room. Individual treatments range from hot stone and body scrubs to Reflexology, Body wraps, Ayurvedic treatments and Aromatherapy sessions. Everyone is welcome at Grand Solmar. Children and infants are readily accommodated. Extra person, and crib charges may apply. Pets are not allowed. Airport shuttle is available $42 USD roundtrip fee applies. Late check out available at extra charge. Free wifi in rooms, available also in some public areas at extra charge. Golf, mountain biking, ecotours & horseback riding are available for those who prefer to stay dry, as well as a fitness centre and mini-golf on site. In addition for ocean lovers, deep sea fishing, scuba, snorkelling, kayaking, sailing, parasailing and sunset boat excursions may also be booked with the hotel concierge at extra cost. Grand Solmar is pleased to offer the largest and most experienced sport fishing fleet in Los Cabos, supplied with captain and crew. Los Cabos is proud to offer some of the most scenic and challenging golf courses in the world, designed by famed professional golf architects. Your concierge can make all arrangements for you to hit the links at the course(s) of your choice. Grand Solmar is an European Plan resort. An all inclusive meal and drink plan can be added to your vacation experience for an additional fee. Please ask your Lux Life Vacation Concierge for packages and pricing. Superbly appointed suites that offer amazing ocean views in addition to fully equipped kitchens with marble wet bar, separate sitting area, marble bathroom with tub, marble floors, luxury amenities and private terraces. The Studio suite is perfect for three adults or two adults and a child. One King Bed and Queen Murphy bed, Flat screen satellite TV ,Air Conditioning, separate sitting area, wireless & Plug-in internet access, Daily maid & nightly turndown service. 737 Square feet. The Perfect combination of space and privacy. There’s no better way to describe these elegant suites overlooking the Pacific Ocean. Each unit features a fully equipped kitchen with marble wet bar, living room, dining room, two bathrooms with marble counters and floors, walk-in closet, and private terrace. The Master Suite easily accommodates four adults. One King bed and a Queen Murphy bed, flat screen satellite TV, Air Conditioning, separate sitting area, wireless & plug-in Internet access, Daily maid & nightly turndown service. 1248 Square Feet. 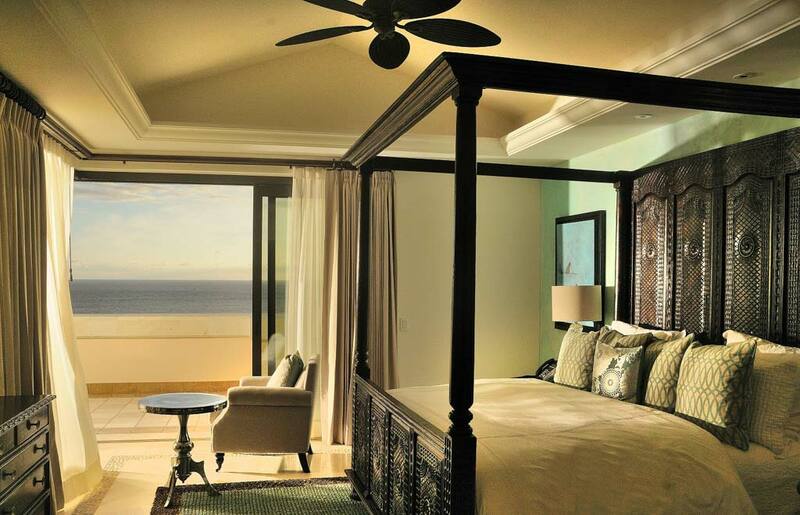 These impossibly elegant suites allow guests to enjoy views of the Pacific ocean from every room. Features include two spacious bedroom, fully equipped kitchen with marble wet bar, studio, living room, dining room, three bathrooms with marble counters and floors, walk-in closet and large private terrace. Eight adults fit comfortably into a Presidential Suite. One King bed, two double beds and a Queen Murphy bed, flat screen satellite TV, Air conditioning, separate sitting area, wireless & Plug-in Internet access, daily maid & nightly turndown service. 2589 Square Feet. With LuxLife Vacations there are not booking fees! Not only you get the best available online rate, but also your vacations are curated and customized for you. Your Personal Vacation Concierge is free and will ensure you are in the know with the best of Cabo while saving you time and money. We understand that unanticipated events happen occasionally in everyone’s life. Business meetings, project deadlines, car problems, snowstorms, and illness are just a few reasons why one might consider cancelling their vacation. In our desire to be effective and fair to all and out of consideration for our guests’ time, LuxLife Vacations provides a FREE CANCELLATION POLICY until the resort standard cancellation policy is in effect. Please see below for Your Resort’s Standard Cancellation Policy. Cancellations requested 72 hours prior the arrival date will be fully refunded (excluding arrivals in the week of the Holidays Easter, Holly Week, Thanksgiving, Christmas & New Years) . Cancellations requested with less than 72 hours prior the arrival date will be penalized with the charge of 2 nights. Cancellations requested with less than 24 hours prior the arrival date and / or no-shows are penalized with 100% of the total of the stay. If any questions, please contact your local curator to have all your questions answered. 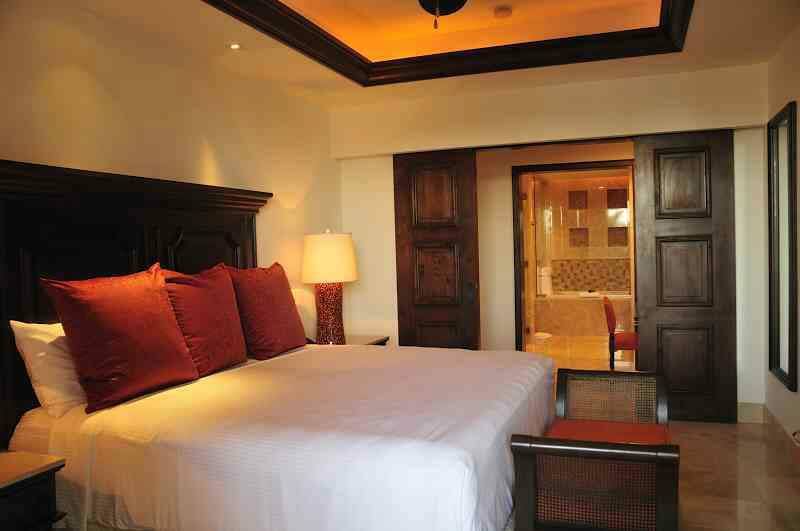 Thompson Hotels’ The Cape, is an outstanding five star and VIP+ Luxury Cabo Hotel. It cuts a striking profile on the white sand beaches of Cabo San Lucas.